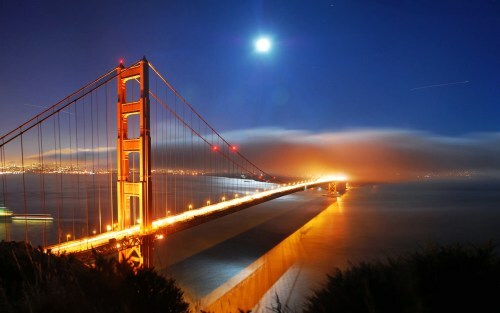 WestJet is showing some unusually low prices between Winnipeg and San Francisco (SFO) for travel in May and June 2015. The fares have dropped to $340 roundtrip including taxes, which is about 45% below the typical best price seen on this route. 2. Under the 'Stops' menu, select 'up to 1 stop'. This will help us get rid of the flights that have 2 stops. Adjusting it to 5 day trips seems to work the best. 5. 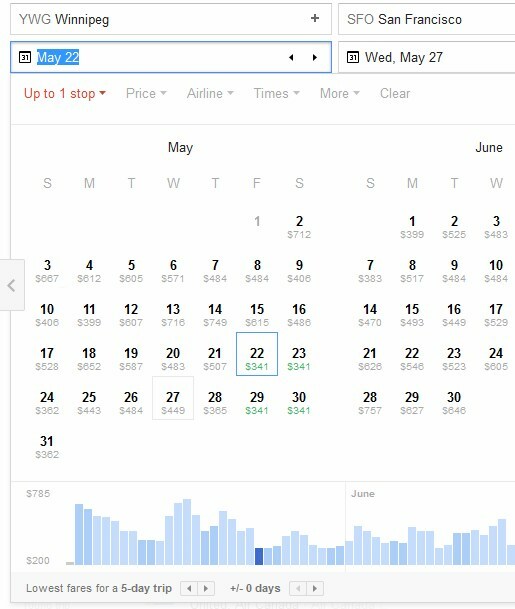 Pick your dates, and click through from Google Flights to WestJet's website to complete your booking. For live discussion of this deal, or just to get some amazing travel advice from your 7,556 fellow travelers in Winnipeg, join us in the YWG Deals Facebook Group. winnipeg, ywg, flight deals, westjet, united states, california, north america, san francisco and sfo.